Her husband was knocked off his bike in London and suffered a major brain injury. During his operations Jake required a lot of blood. Since finding this out, I decided to give blood and try to be a regular donor. 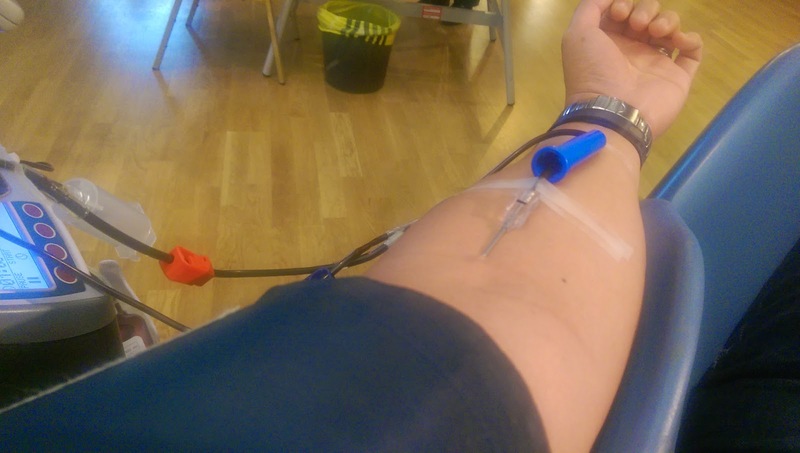 Here's my fourth donation, with my fifth one planned for February. It's always easy to make an excuse not to do it, but re-reading Charlie's blog not only inspires me with what human spirit and strength truly is, but it also reminds me that a small act on my part can save a life.